FORT LAUDERDALE: Andre Timmins co-founder and director of Wizcraft, India’s biggest event planning company, has lauded chairman of Cricket Council USA (CCUSA) Mahammad Qureshi for his work in cricket. Qureshi who has spent millions in developing cricket in the United States will be hosting the 10th Edition of his very popular Timmins tournament from December 12 to 16 at the Central Broward Regional Park. Timmins speaking about the upcoming event said : “This is really a wonderful effort by Maq and I want to sincerely congratulate him for what he has done for cricket in the US. “I think he should be awarded for the great work he has done in the development of the sport across there. He has worked so hard for cricket and the people around cricket that this must not no un-noticed. 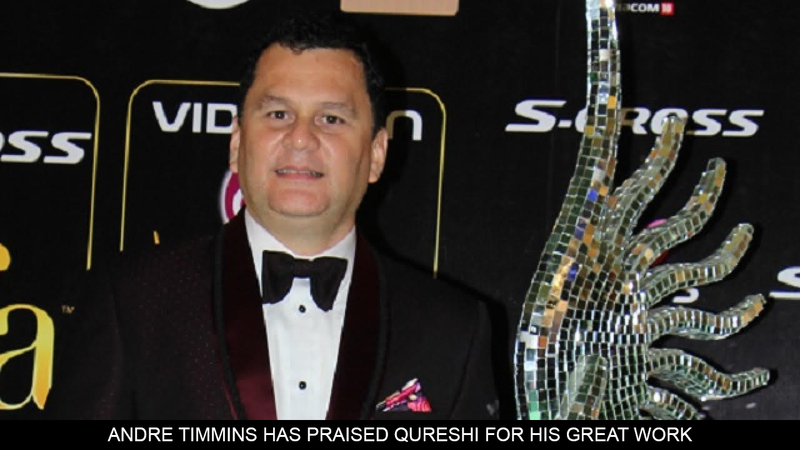 Timmins who produces the popular Iifa awards have recognised the efforts of Qureshi and Cricket Council (CCUSA) and at the last Iifa awards in the US in 2017, he had Qureshi as a special guest. A number of world stars will be attending the US Open T20 event that will be carried live across the world.